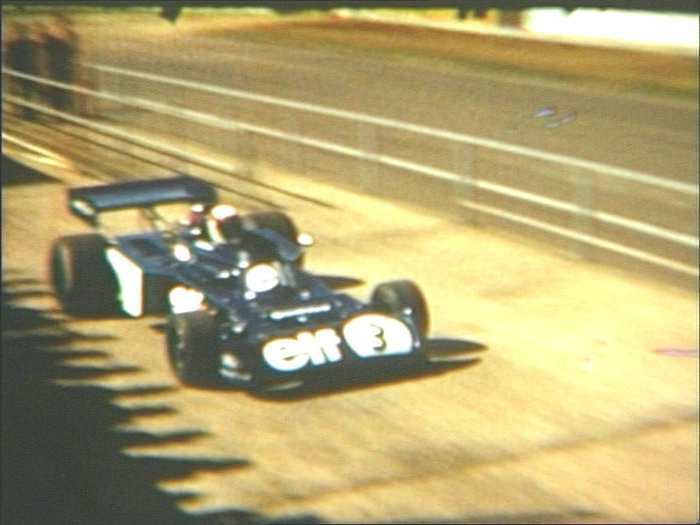 The Flying Scot: Jackie Stewart in the Tyrrell 006 at the International Trophy Meeting at Silverstone in 1973. MOTOR racing is one of the most popular branches of sport, screened on TVs around the world. In the UK, both the BBC and ITV have made room in their schedules for motor sports since the early 1950s, but that doesn’t mean that they’ve made a similar amount of room in their archives to store past events. Gary Critcher of classic motor racing website Yesterday’s Racers has spent the past 15 years slowly amassing a collection of old motor racing film footage to try and plug the many visual gaps left by the broadcasters’ archive clearings. I knew just how much footage the BBC had, over the years, simply thrown away. My collecting of old film is one way of ‘re-claiming’ some of that material. “There is just too much material to mention that since about 1950 has been junked. A friend and I once went through all the TV listings of both the BBC and ITV for the whole of the 1950s and found both companies (ITV in particular) were regularly showing some sort of motor sport throughout each summer. Of course, now hardly any of it exists. “About five years ago I started to produce motor racing DVDs that encompass all aspects of historic racing. They are a mixture of newly-shot material and old film footage, which is a nice way of getting some of my collection ‘out there’, and the best option as I can’t afford the commercial rates for library material to use in my DVDs. I’ve had some footage used in various documentaries over the years, the most recent being Jim Clark: The Quiet Champion produced by Mark Stewart Productions for the BBC. I usually get my film material telecined back at the BBC, as they seem to be the best around. “I’ve had some notable finds over the years. One of my early ones was a roll of 16mm film of the 1970 British Grand Prix which I found in a camera shop in Devon. When I got it home, I found that it had been professionally shot, including a pre-race walkabout on the grid featuring just about every driver and car. The start of the 1952 International Sports Car Grand Prix at Watkins Glen, NY. 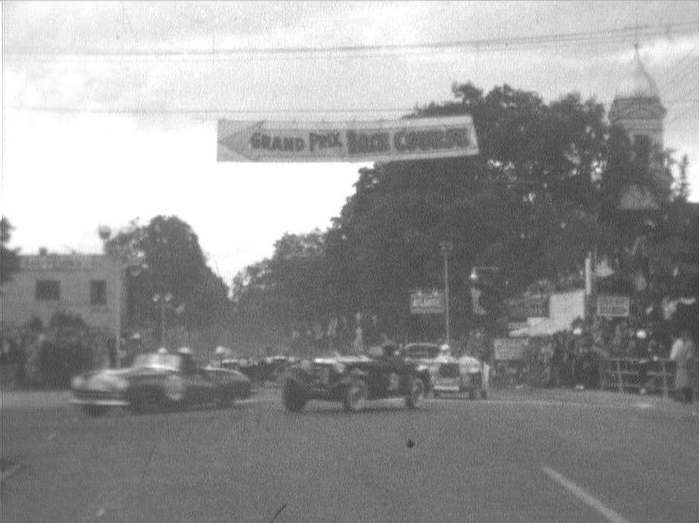 “I also found some black and white film of the 1952 Watkins Glen Grand Prix. The Watkins Glen track is in upstate New York and racing started there on a road course in the late 1940s. I actually know the son of the guy who first had the idea of racing cars there. He organised the early races and eventually owned the circuit. You can imagine my surprise and delight when I showed the film to his son, and he commented that the fifth car at the start, an MG, was actually being driven by his father! I gave him a copy to keep and also donated a copy to the International Motor Racing Research Center at the Glen for their archives. 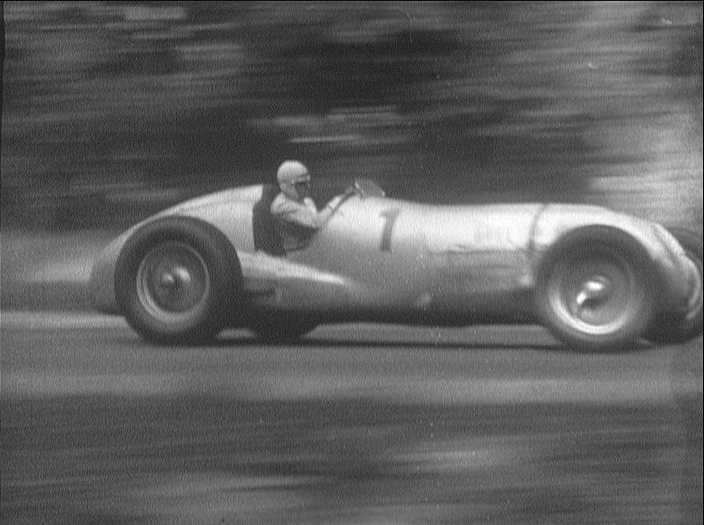 Classic Cars: Rudolf Carraciola in the Mercedes Benz W125 - 1937 Donington Grand Prix. “Another find was some 9.5mm film of the pre-war Grand Prix races at Donington Park featuring the legendary Mercedes Benz and Auto Union cars. This is absolutely fascinating footage, especially when you think that whatever was filmed at the circuit now only exists as short two or three-minute items in places like the Pathé News Library. I un-earthed around 40 minutes’ worth of material. “My biggest discovery though was through an Internet motor racing forum. I casually mentioned I was interested in old film and was promptly e-mailed by a lady in Chichester, who told me that she had thirteen hours’ of film of multiple motorcycle and Formula 1 World Champion John Surtees. She explained that her company filmed it with three cameras over a weekend at Brands Hatch in 1982. The original idea had been to produce a documentary that would be screened at the cinema, but the finance had eventually fallen through, so she edited it down to thirty minutes and gave it to the BBC. Apparently, it transmitted only once. “She said that over the years she’d moved two or three times and every time it came to clearing out the garage she’d thought of taking the film to the dump to throw it away. Needless to say I stepped in! The film she gave me included all the negative rushes, which I am in the process of having transferred onto digital tape. “I don’t concentrate totally on motor racing, I have some film of the RAF Pageant at Hendon in 1932, which the RAF Museum were glad to see. I also have some footage of aircraft displays and various railway film. “I once missed out on buying a large box of pre-war colour film and glass negatives from a guy in Eastbourne. When he contacted me he said he wanted thousands for the film, which I couldn’t afford. I subsequently found out that he had sold the material to someone in the US. I have never heard of any of that footage or stills coming to light in the intervening years. 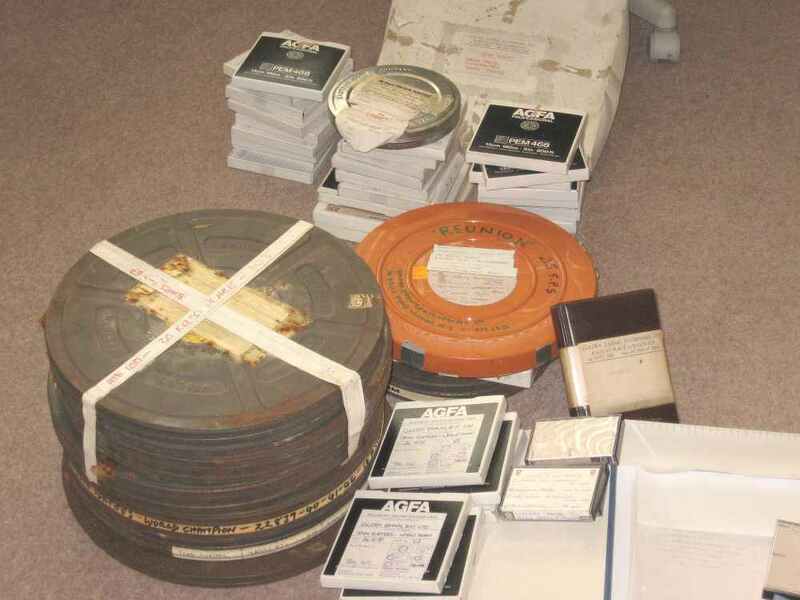 “But my ‘holy grail’ of footage that I would love to find wouldn’t come from a TV company or film library – it would come from the MGM film company. “In 1966, John Frankenheimer produced a film called Grand Prix. For it, they filmed sequences at four ‘real’ races that year: at Monte Carlo, Brands Hatch in Britain, Spa-Francorchamps in Belgium and Monza in Italy. They then filmed their own sequences afterwards. I would love to find the out-takes of each of the races and put them together in chronological order on DVD. Some years ago I got on the trail of this material and eventually managed to contact Frankenheimer’s agent in Hollywood. Through him I was told all the rushes and out-takes had been thrown away. Unfortunately, Frankenheimer himself has now passed on, so it looks like the trail may have grown cold on that project. But… imagine finding them, having them digitally transferred and released on Blu-Ray. The results would be stunning, especially when you realise that it was originally shot on 70mm film! For more details about Gary’s historic motor racing DVDs, and historic racing in general, visit www.yesterdaysracers.com. I am looking for Footage of the F1 Grand Prix at Watkins Glen from 1962. I was there and filmed at the early age of 12 skate Boarding with Graham Hill down the hill toward the pits. I think it was BBC who was doing the filming. Do you know of any footage available to the public? No, I’ve not heard of that footage, and frankly, I’d be VERY surprised if it has survived!